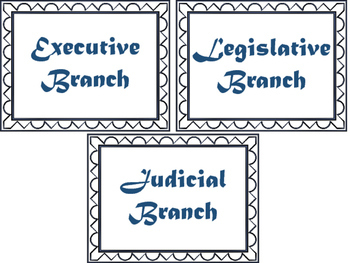 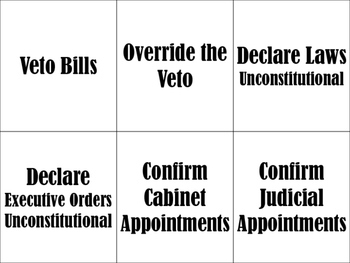 Have students review the separation of powers with this power matching activity. 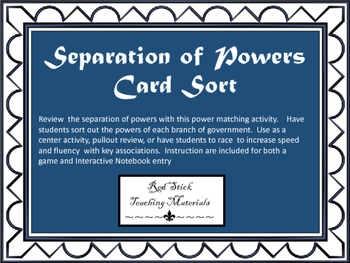 This resource includes instructions to make a folder game, sorting race and a format for an interactive notebook entry. 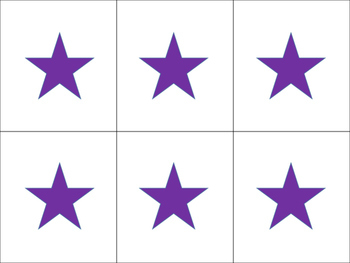 ~Interactive Notebook Instructions and 3 students pages for the students to make sorting pockets.